Both publications believe Wright is the man behind the cryptocurrency based on a series of incriminating emails and documents obtained from anonymous sources. However, there is nothing more concrete and his arrest is to do with an ongoing tax investigation, according to the Australian Federal Police. That being said, the level of evidence stacked against him is high, so it’s very possible that he is the man. But we’ve been here before. At least 15 other people have been accused of being Satoshi Nakamoto in the last seven years. Clear was accused by the New Yorker’s Joshua Davis of being Satoshi Nakamoto in 2011. The graduate cryptography student from Trinity College Dublin in Ireland publicly denied his association with the founding of Bitcoin at the Web Summit in 2013. Davis had based his claim on linguistic clues he found through analyzing Nakamoto’s posts online. Interestingly, Clear led Davis to believe the man he was looking for could be Vili Lehdonvirta, a Finnish games developer and social economist. Clear alluded that Lehdonvirta “matches the profile of the [Bitcoin] author on many levels.” This was apparently based on the fact he was studying virtual currencies and had a background in programming. Lehdonvirta, however, denied being the creator of Bitcoin. He told Davis he had no background in cryptography and very little experience with C++ programming, all of which would be necessary to create the virtual currency. Met with Martti Malmi, one of the core devs of BitCoin. Didn't realize how super clever the design is. Built-in incentives for admin tasks. Meanwhile, Fast Company’s Adam Penenberg argued that Nakamoto was a group, not an individual. Studying key phrases and spellings from the original Bitcoin release paper, Penenberg tied them to patent applications filed by Bry, King and Oksman in the weeks leading up to the reveal of Bitcoin. All three men deny any involvement with the creation of Bitcoin. Malmi’s name has cropped up numerous times over the years. Most of the evidence people use to try and say he is Nakamoto is based on the fact he was one of the first people to learn about the project from the elusive creator. Other circumstantial evidence is his residency in Finland, where bitcoin.org was registered in 2011. He’s fluent in both Japanese and English and was the first developer to work on the cryptocurrency. Malmi also stopped working on the project at the same time Satoshi Nakamoto left in 2011. This is also the same time bitcoin.org switched registration from Japan to Finland. Malmi has spoken openly about his work on the virtual currency but still denies having developed it. Nicknamed the ‘Crypto Mano Group,’ none of the men have ever spoken publicly about Bitcoin, despite their research into the area. Nelson believes the Kyoto University lecturer is Nakamoto because he’s a mathematical genius with a specialty in number theory. He also lives in Japan but grew up in the US, so his written English is perfect and he’s known to have released other mathematical discoveries on the Web, instead of using the academic channels available to him, similar to Nakamoto. Mochizuki hasn’t denied anything about this association but looking at the evidence, it all seems purely coincidental. Newsweek published a piece in February 2014 claiming to have tracked down the real Nakamoto – a man named Dorian S Nakamoto. While he shared a name with the Bitcoin creator, that’s where the similarities stop. The Newsweek piece lacked any hard evidence, drawing on his background as an engineer. The sad truth came out when Nakamoto released a statement through his lawyer saying that he had no connection to Bitcoin and had struggled to find a permanent job in the programming area for over a decade. He had also discontinued his internet service in 2013 due to financial issues. Forbes’ Adam Greenberg thought he had found Nakamoto shortly after the Newsweek story fell apart. This time, the man in question was Hal Finney, a 57 year-old paralyzed crypto currency genius. Finney, who has since passed away, was a cryptographer and programmer who was an early adopter of Bitcoin and recieved the first test transfer from Nakamoto on January 11, 2009. He also sent the first known tweet about the currency the same day. After a long investigation, which included an analysis of Finney’s writing against Nakamoto’s, Greenberg concluded that although he was a strong candidate, he was not the man himself. This was based on emails shown to the journalist by Finney’s family and his correspondence with the real Nakamoto, whoever that may be. Weber was called out for his association with Bitcoin by Business Insider when an investigation by Hunter Walker and Rob Vile concluded that he is one of the only known people to be conclusively linked to Bitcoin pre-launch. 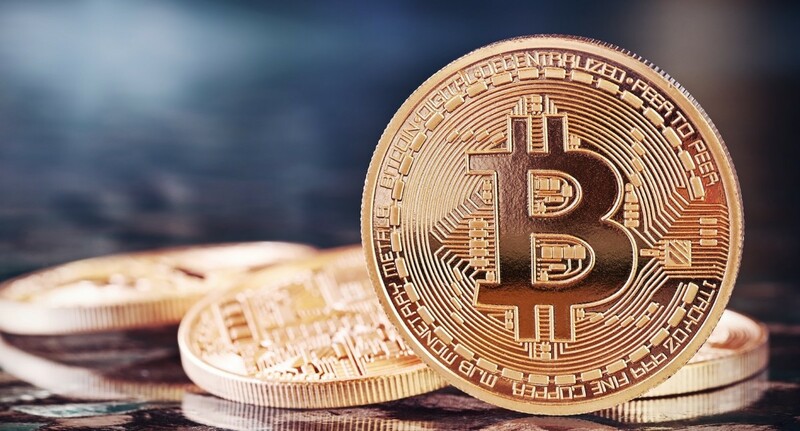 The accusations were raised because Weber is the person believed to have provided Nakamoto with the anonymous email domain and hosting site used to launch the cryptocurrency and also has a background and expertise in anonymous virtual payment systems. Weber has never responded to these accusations. Dai was a member of Cypherpunk – a group in the 1990s that advocated the use of crypotgraphy. His name is thrown around a few times as a possible candidate for Satoshi, mainly because of his own B-money proposal, which was released in 1998. It’s a similar idea to Bitcoin and many believe it was a precursor for what we have now. The idea that he was Nakamoto was again debunked by email correspondence between the Bitcoin creator and Dai. Szabo is long believed to be the real Satoshi Nakamoto since a group of researchers from Aston University analyzed the Bitcoin White Paper. Prior to that he was also outed by another researcher for the same linguistic similarities. Aston University in Birmingham, UK, had 40 students analyze the paper against 11 possible candidates. They concluded it was Szabo’s work because of distinctive linguistic traits appearing in the Bitcoin paper and throughout Szabo’s other writing, as well as it being written in Latex, an open-source document preparation system that Szabo used for all of his other publications. This was further backed up by the fact that Szabo had created a digital currency called bit gold as well, which bears striking similarities to early Bitcoin ideas. Despite this, Szabo maintains that he is not Satoshi Nakamoto. Emails published by Wei Dai also proclaim that Szabo couldn’t be Nakamoto because Satoshi was unaware of bit gold and Szabo until Dai mentioned it to him. So, despite countless investigations and analysis, nobody has managed to find out the truth behind the Bitcoin creator’s identity just yet. What we do know is that until he or she published the Bitcoin protocol in 2008, they were virtually unheard of despite among a close-knit group of online ‘colleagues’ who seemingly didn’t know the person’s identity either. Nakamoto left the world of Bitcoin, as far as we know, in 2011 and said he had moved on knowing it was in capable hands. It’s unclear at this stage whether Wright will turn out to be another name to add to this list when the next accusation arises or whether he is the real deal.